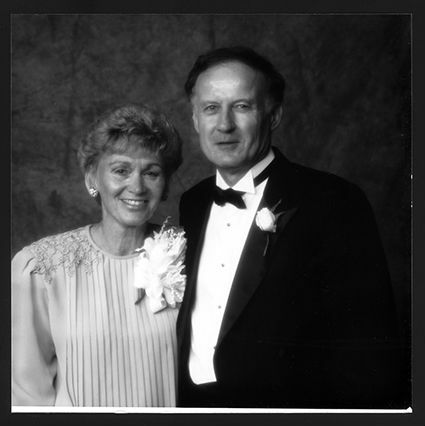 Pearson Printing Co. was born in 1933 in the mind of Eugene Pearson, who became unemployed in the Great Depression and believed he could make a success in a new business. When the Depression came he was employed as a printer, but was laid-off because of a lack of business at Modlin Printing Co.
With a well-used array of printing equipment, including a small hand-fed press, he opened the door at a small rented building. Simultaneously, he was hired to run a special typesetting machine at the Marion Chronicle for one or two nights each week. They had a unique machine called a Monotype, and very few knew how to use it. This few hours of work each week was of great benefit to the new business owner. After several years of extremely hard work and saving money little by little Mr. Pearson was able to purchase a rebuilt Kluge automatic printing press. This was a great forward move in the business. The business continued to prosper and in 1939, he purchased property and built a small building in a very good location. This was a significant achievement during a time when the entire country was still in a depressed business environment. Mr. Pearson was able to do all this without debt for he was convinced that debt was unwise in a time of great uncertainty. 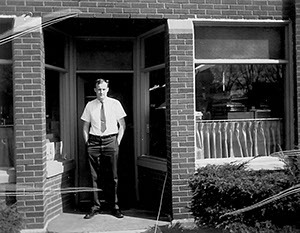 The new building and then soon the addition of a second new Kluge press was preparation (though unknown to him) for the great influx of new business due to the beginning of the World War in 1941. When the war started, all local manufacturing plants received government contracts to build military equipment and every business expanded. 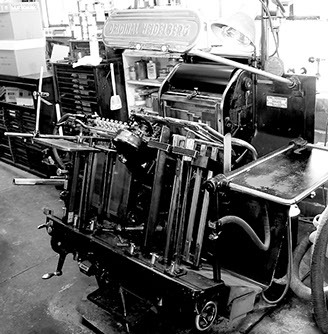 This led to the need for more printed items and Pearson Printing became a very busy place. 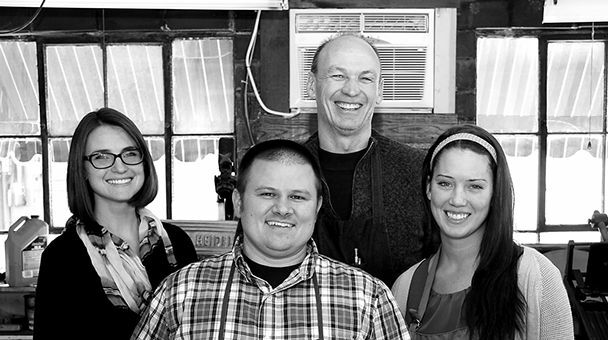 The shop was ran exclusively by the Pearson family and long hours were worked by all. 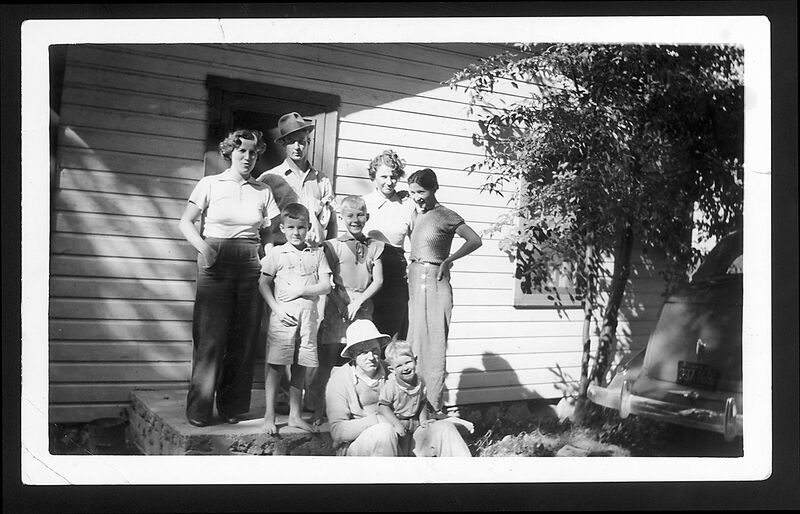 Mom, Dad and their two boys, Bud and Skip, turned out volumes of printed forms and other items needed by the factories. This was 1941 through part of 1945 when the war ended. When the war ended, high volume production continued in the factories to meet the needs of consumers who had done without during the war. Prosperity continued for Pearson Printing during those years. A change of ownership took place in 1949 when Eugene Pearson sold the business to his two sons. Then for the next five years, Bud, who loved the daily operation, ran the business, while brother Skip was away. Skip had signed a professional baseball contract with a Washington Senators farm team in Florida and then after being drafted served in Korea with the Army. In early 1955 Bud, who had received a call to ministry, left the business and Skip took over the operation of Pearson Printing Company. Skip ran the business from 1955 to 1996. During those years he doubled the size of the building, purchased immediately a new state of the art Heidelberg Windmill Letter Press, purchased a Ludlow machine that produced single line lead type slugs, and introduced to the business the process of offset printing by purchasing a Multigraphics Press. The shop prospered with manufacturing clients of Bell Fibre, Delta, Hartson-Kennedy and RCA. The business allowed Skip to be the sole breadwinner for his wife, Jane, and their growing family of four children: Cindy, Kevin, Stephanie and Angela. In fact the business provided for the family and saw all four of the children to achieve college educations. The workday was almost always 8:00 a. m. to noon, lunch at home, and then 1:00 p. m. till 5:00 p.m. with dinner at 5:30 p.m. He also was open every Saturday morning when he did his paper work on a non-electric typewriter. Skip always believed in cooperating and helping out the other printers of the community. One of his favorite sayings about the free market was that you wanted your competitors to be just as successful as you so not to compete for the same client. He continued that philosophy throughout his career. Skip’s staff consisted over the years of mainly part timers including Jane and usually a high school cooperative student. When son Kevin became old enough (which seemed to be at three years of age), he became an employee. Skip continued to work up until nine weeks before his death on Christmas day, 2010, completing 70 years of working as a printer at Pearson Printing Company. Many of those years the business was a one-man shop with Jane helping. 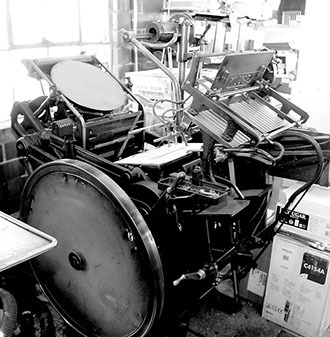 In the last years Skip was known and called by many the “Master Printer”. 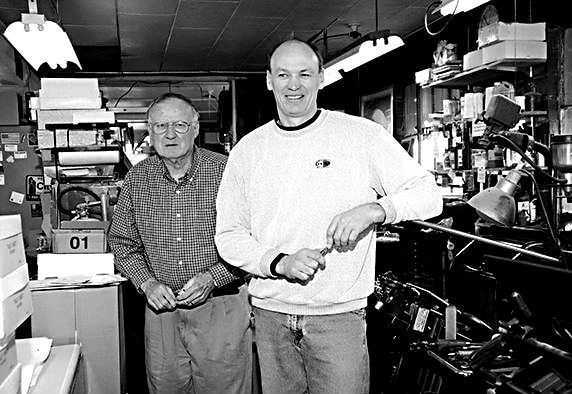 In 1992-1996 Skip’s son, Kevin started working part time at the print shop again when his wife went back to school. Prior to that Kevin had been teaching and coaching, from 1979 to 1992. During those first four years back, he introduced computers to the shop and set most of the new projects at home on the first generation Macintosh Computer and scanner. The projects were generated onto positive via a first generation laser printer then processed to a metal plate for offset printing. The original Mac had a fraction of the processing speed and storage of today’s iPhone. In 1996 Skip recognized it was time to step down and work for Kevin. Skip never believed that business partnerships worked because equal 50% split of assets, profits and duties was impossible to achieve. He also stated every business need one leader. So in 1996 Kevin signed the first check paying his father for working for him. Since 1996 to current Pearson Printing Company has been a business of three to five employees. Over the last decade Pearson Printing Company has expanded in all the computer/digital related graphic areas including full computer design, digital photography, website design and web hosting, wide format printing, along with the production steps of prepress, printing, and finishing. Every single inch of Pearson Printing Company is used for business. When you walk in the front door you will see a busy working print shop. You will see one of the first automatic feed Kluges purchased by Kevin’s grandfather in working condition and still used. You will also see Skip’s Heidelberg Windmill in operation. The staff prides itself in being a true team with everyone willing to initiate the team concept to complete a task. 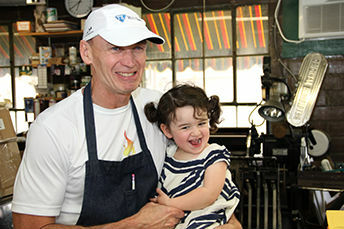 Just as his father, Skip, did, Kevin still takes pride in helping other printers, understanding that other printers helped his grandfather, Gene, start Pearson Printing Company. We thank you for taking the time to read our history. We will continue to provide printing and graphic services based on the experience of over 80 years and three generations of printers. We would appreciate your consideration of Pearson Printing Company for your printing, marketing, and graphic needs. Michelle, Wade, Kevin, & Alyssa: the gang today.